When 3 Ravens first gave their soft and fruity sour ale Acid a wide release in cans last year, we were told more variants on the theme would follow. And, with the release of the somewhat allusively named Brown Acid – a cola inspired beer – it seems that time has now come. Much like the original Acid forebear, it’s a tart, lightly sour beer, but it also packs an additional sweetness, one that brings with it flashbacks to the cola lollies you’d find at a milk bar and, presumably, can still buy from the shrinking number that still exist. The addition of secret herbs and spices (we suspect there’s not quite eleven) lends the beer an herbaceous aroma and flavour as well, along with floral and slightly spicy notes. 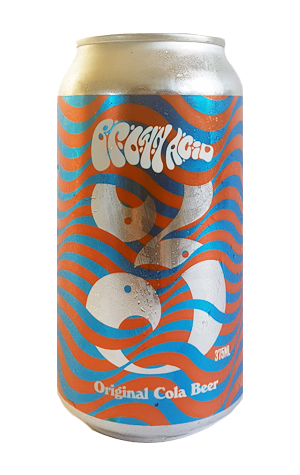 The 3 Ravens brewers have called it a dose of pure refreshment, one that – even taken in repeat hits – shouldn't lead to anything more than a slight wobble and, maybe, an extra long session with the toothbrush; certainly, no Wavy Gravy warnings are required.